Liverpool maintained top spot in the Premier League thanks to a hard-fought 2-1 win at home to Tottenham Hotspurs on Sunday. Roberto Firmino put the Reds in the lead on 16 minutes, heading home an Andrew Robertson cross from the left. Spurs pulled level with 20 minutes to play thanks to Lucas Moura but a Toby Alderweireld 90th minute own goal handed Liverpool all three points on the day. The three points saw Jurgen Klopp’s side move onto 79 points, two ahead of second placed Man City who had earlier on Saturday, defeated Fulham 2-0 at Craven Cottage with the goals coming from Bernardo Silva and Sergio Aguero. For Spurs, they remain third, level on points (61) with fourth placed Man United who scrapped past Watford 2-1 on Saturday. The two (Spurs and United) are just a point ahead of Arsenal, who host Newcastle on Monday and Chelsea who defeated Cardiff 2-1 away from home on Sunday. Elsewhere, Crystal Palace defeated Huddersfield 2-0, Leicester also dispatched Bournemouth by the same score line, Southampton were 1-0 winners away to Brighton, Everton beat West Ham 2-0 and Burnley also overcame Wolves 2-0. What a save to deny Callum Wilson from point-blank range! That was by far the best on the weekend that also saw Schmeichel make three more other as Leicester defeated Bournemouth 2-0. Slowly coming back to his best, the Everton right back set up Kurt Zouma’s opener against West Ham on Saturday. What a player the Scotsman is. He assisted Roberto Firmino’s goal against Spurs on Sunday. Morgan now has two goals from as many games. On Saturday, he scored the opener as Leicester City beat Bournemouth 2-0 at the King Power Stadium. Zouma scored Everton’s opener at West Ham, as well as making four clearances and four interceptions. Hojbjerg scored the only goal of the game as Southampton beat Brighton 1-0 away from home. Scored one and assisted the other as Burnley took care of Wolves. 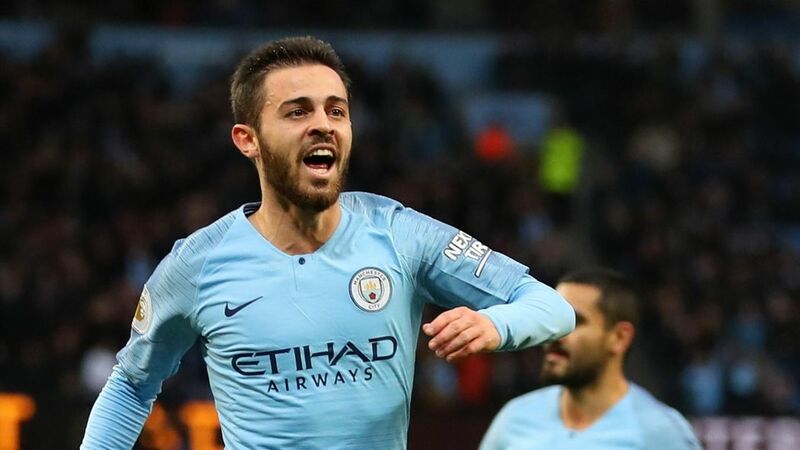 Bernardo Silva was directly involved in both of Man City’s goals against Fulham, scoring one and assisting another. Rashford netted with his only shot on target against Watford, opening the scoring for the Red Devils. Bernard scored one and created two chances in Everton’s away win at West Ham. Since the start of the 2011-12 season, Aguero has been involved in more Premier League goals against newly-promoted teams than any other player (36 – 29 goals, seven assists). On Saturday, he scored one and assisted the other as City defeated Fulham 2-0.